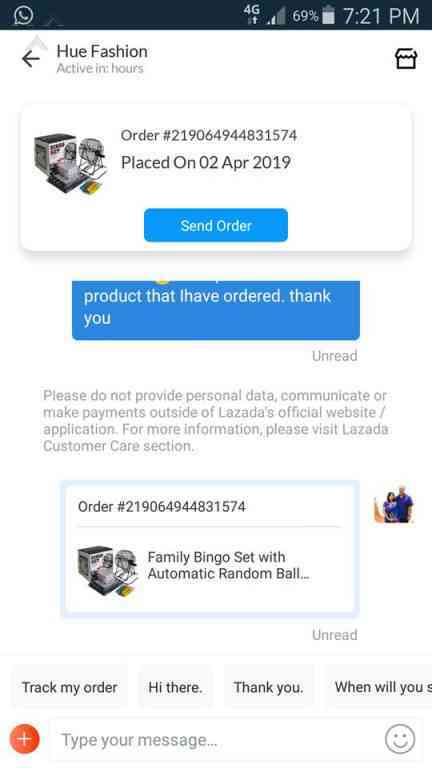 I buy from lazada on 27 March 2019. Order number 218356187240393. Received delivery notification on 12 April. Check with gdex and they said it was returned to the seller. I tried to contact the seller but up until now still no positive outcome, so can you please look over this matter and take action accordingly. Thank you. I ordered and paid for Alpha COSA Remote Ceiling Fan to a Lazada store named PERFECT ELECTRICAL STORE since 3-Apr-19, last delivery date should be 12-Apr-19. But until today item is not delivered yet. Last shipping status updated in Lazada page is " Your package has been packed." on 3-Apr-19. No more shipping update after that. Tried to chat with seller but seller gave a very very slow response with no exact helpful answer. Currently there is no option to cancel this order in system. Order no. 218856812920391 Please help!! 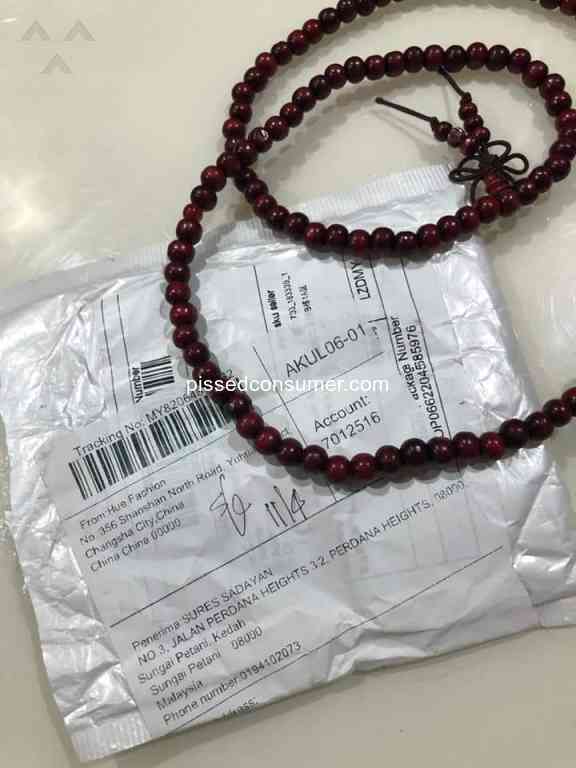 Order bicycle but received is BRACELET? Can Somebody tell me whats going wrong? For my order 218987941918186, kindly deliver it to the following address, attention to Mr Loh Kim Long. My contact phone number is 012-2755-997 Dunham Bush Malaysia Lot 5755-6, Kidamai Industrial Park Bukit Angkat, 43000 Kajang, Selangor, Thank you. Lazada Malaysia - What’s going on to your LEX MY services!? Why is your staff throw my parcel when I was not at house!? I thought they should leave the notice but not simply throw the parcel inside my house! The parcel was in my car park area when I am home! There is a torchlight inside! And now my torchlight is broke! Is your staff is going to pay me back my torchlight or your company is going to return me a new one!? Please make sure your staff do not do this to next parcel not even for me but also everyone! 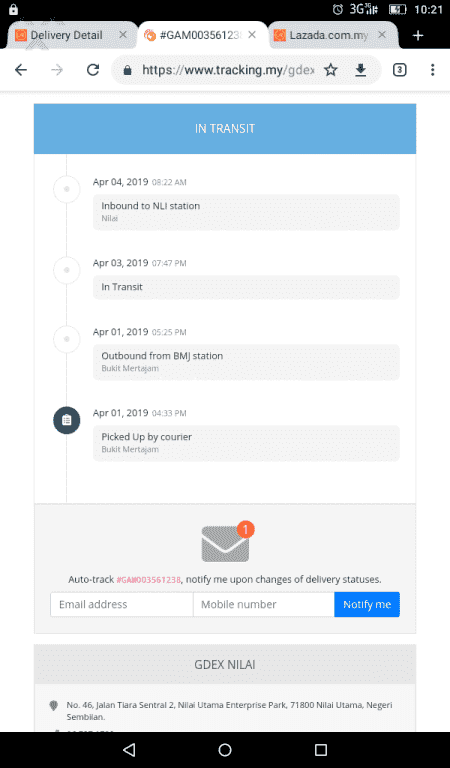 GAM003561238 order no., sepatut sampai 8/4..lepas call gdex nilai 12/4 baru nak hantar .simpan,delay di gdex nilai n9, ini bukan first time dengan operator gdex yang kurang ajar. Compare ninja courier sangat cekap.delivery on time,call bila sampai. Lazada please jgn guna gdex lagi, menyusahkan.